Lately I've been really bad about taking my camera out and using it for fun, which has started making photography feel like all work and no play. So in an effort to use my camera in more than just a professional setting, I've decided to do my own Project 52 (taking one picture of the same thing every week) this year. I'm already a bit behind, since it's already two weeks into January, but I'll just double up some week when lots of exciting stuff is happening. 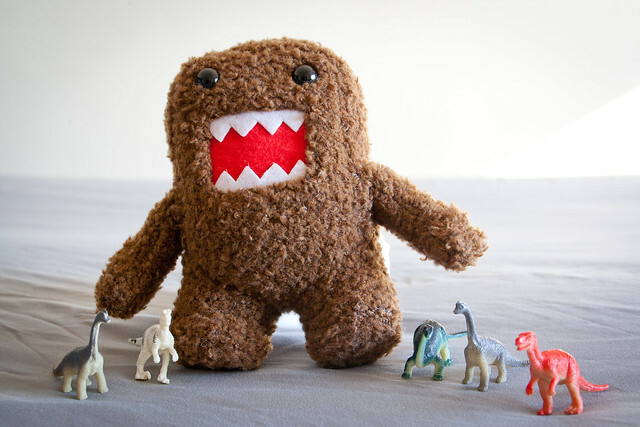 Domo & Friends will be going on all sorts of adventures throughout 2013, and I will be documenting their hijinks. What will they do next? Will they climb a mountain? Get lost in the desert? You'll just have to wait to find out. After dressing up as Domo for Halloween and having millions of tweens love my costume, I finally looked up what Domo is on Wikipedia, and you really should too (seriously, read every word of that Wikipedia article, Toby and I spent ten minutes laughing so hard we cried). 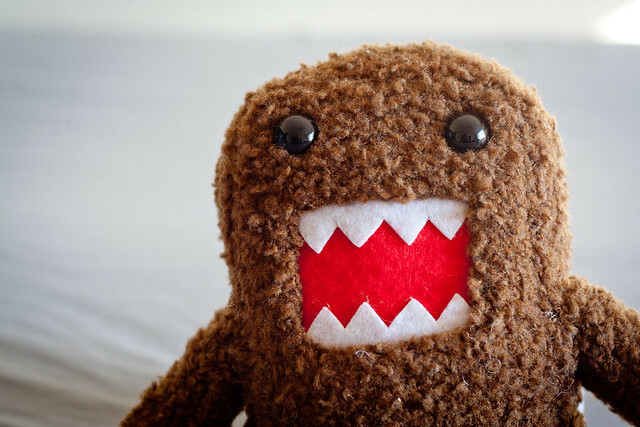 Then the family that I nanny for bought me this cute little stuffed Domo for Christmas, and I knew I had to do something special with him, because I mean...look at him! The older boy, D, said to me, "Rachel, if you look really hard you can almost see your face in his mouth, just like you could in the costume!" Oh, friends, this year is promising to be a good one.